A unique relationship has unfolded in the New Life Community of Ward 13 in Reeston, exemplary to the values of Nelson Mandela. In 2014 Motheo Construction Group was awarded a 24 months tender to construct 935 units in the New Life Community. Due to the duration of the project, this necessitated that they have a site office in the area, leading them to constructing a structure where they will execute their project. In the true Nelson Mandela spirit of giving, Motheo Construction has donated the structure to Buffalo City Metro that the New Life Community will use as a Multipurpose Hall. Speaking to Lindiwe Hans, Project Manager from Motheo Construction Group said “as a result of good relations with the Municipality we decided to donate the office block to Buffalo City Metro upon completion of the project. General Manager from Human Settlements Andile Mshumpela spoke on what the gesture meant for the Metro as the recipients of the structure. Mshumpela added that there are sites that were set aside to serve this purpose however, the pressing issue was the construction of house for the community. Lubabalo Tyhulu community member from New Life expressed his heartfelt gratitude to the kind gesture shown by Motheo Construction. Thyulu highlighted that the structure will not only be used as a social facility but also as a place where they hold their church and funeral services as well serve as a healthcare center. 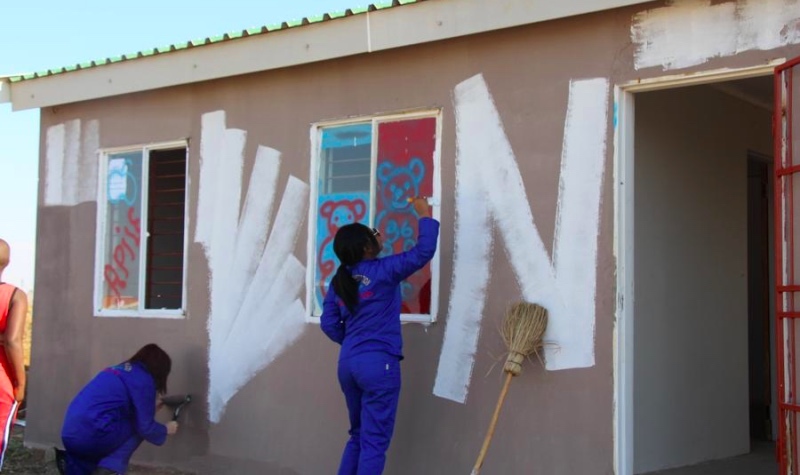 It is evident that the true Madiba spirit of giving lives on as the Metro, Motheo Construction Group and community members collectively renovated the new Multipurpose hall at New Life in Reeston. The Multipurpose halls comes as a donation to the Metro and the community from the Motheo Construction Group.